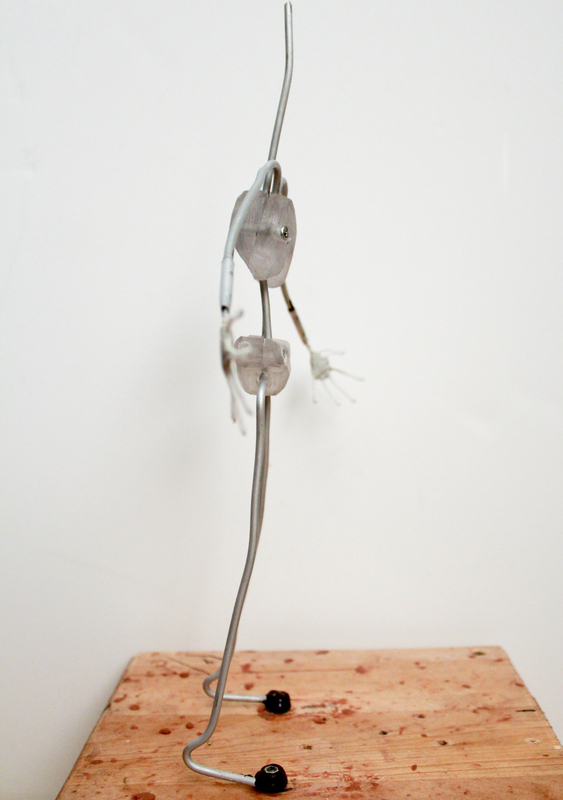 The other two puppets have a ⅛ in aluminium wire armature. 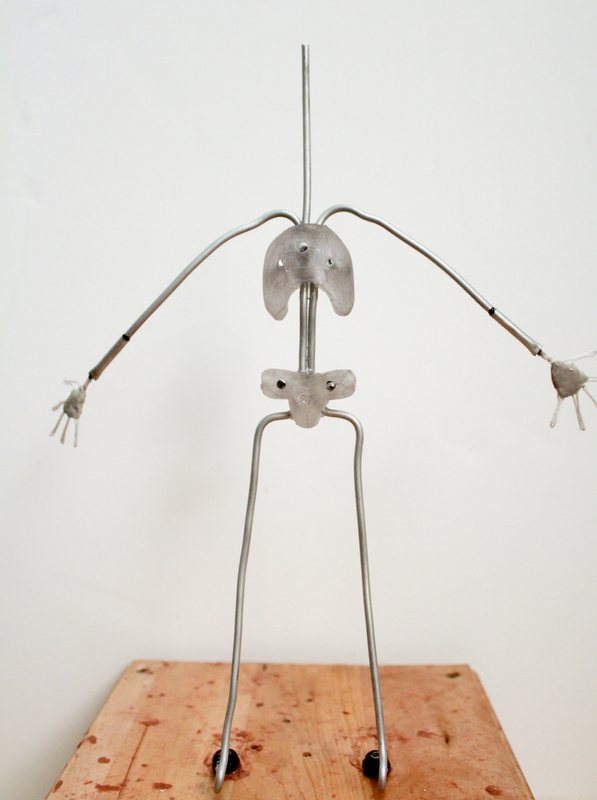 I also wanted to take the wire armature process further than I have previously. My thesis advisor (and all around stop motion pro) Professor Nathan Asquith, taught me a method of fabricating hips and ribcages from polycarbonate. I ordered a 12x12 piece of 1/2 inch polycarbonate from McMaster Carr(my favorite new webstore!). 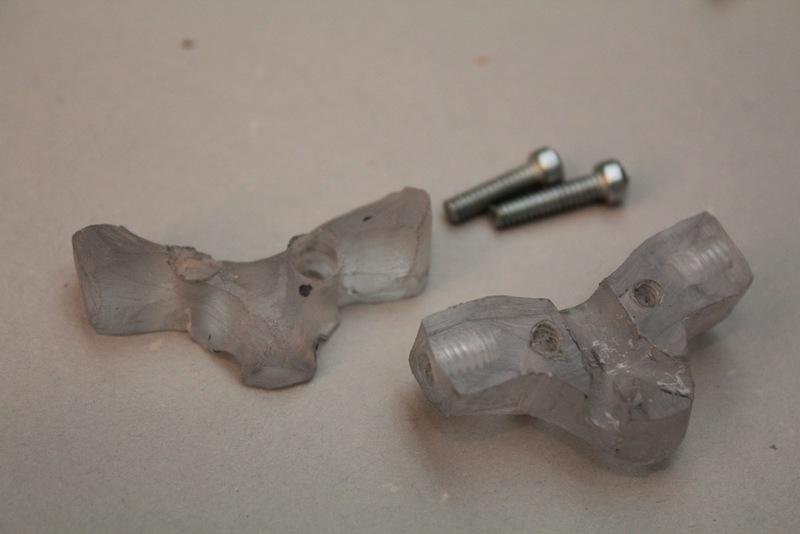 This process is super easy and requires a taps and a Dremel carving bit. Polycarbonate is the plastic used for bulletproof glass and it is an extremely light and durable material that can easily be cut, sanded and tapped. The basic shapes were cut on a bandsaw. Then the interior channels for wire were carved out and the screw holes were drilled and tapped for a 6-32 machine screw. Detailed forming was done with a Dremel tool and a metal carving bit. The material is very easy to carve and it remains durable even when thin. 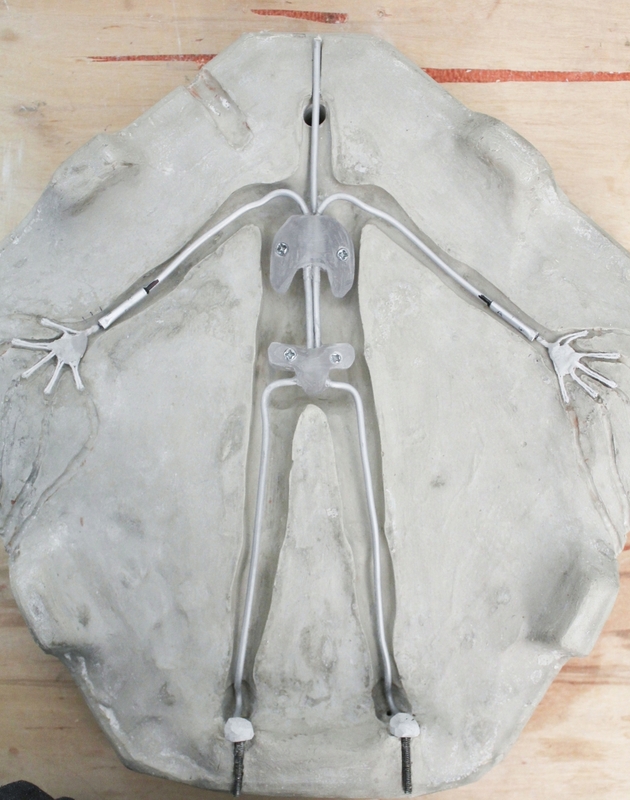 The wire armature was formed using a jig (similar to the hands) that allows the wire to be shaped without the use of tools. The soft wooden dowels leave the wire free of nicks or deformations that would encourage breakage and weak points in the soft aluminum. 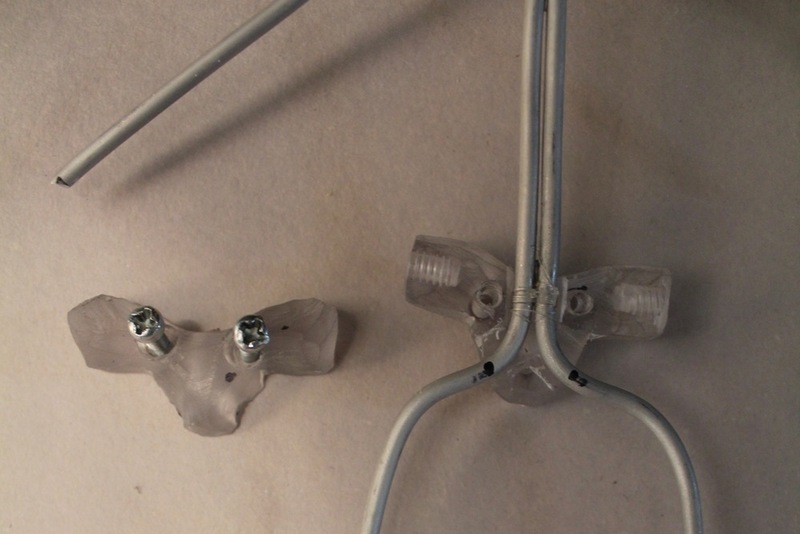 The wire was encased in the polycarbonate and once all of it fit, the channel was filled with epoxy and the piece was glued and screwed tightly. 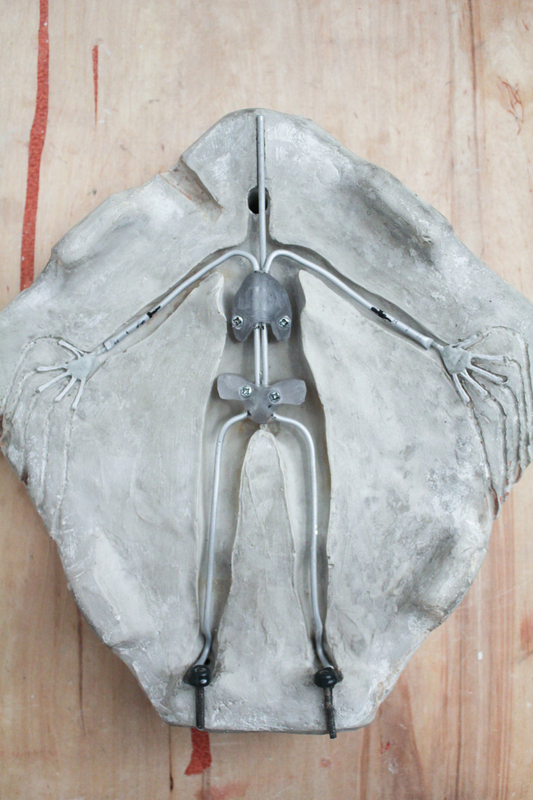 Rigging points (10-24) were tapped at the side of the hips and in the back of the chest and hips. The polycarbonate material was especially useful in this regard. It offered easy tapping, and if the points get stripped, new ones can be re-tapped. 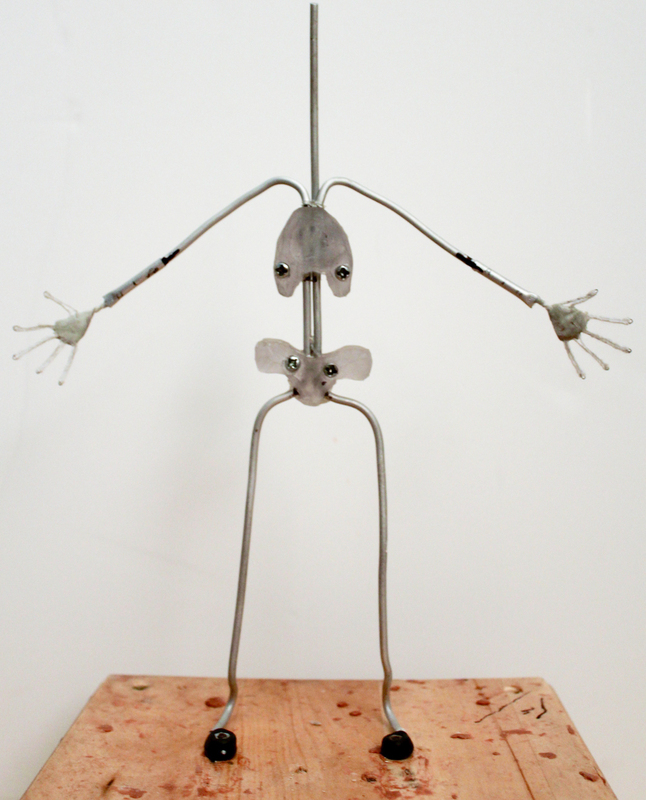 The extra wire in the shoulders will offer some clavicle animation for expressive shrugs. The legs and hips will rotate anatomically. 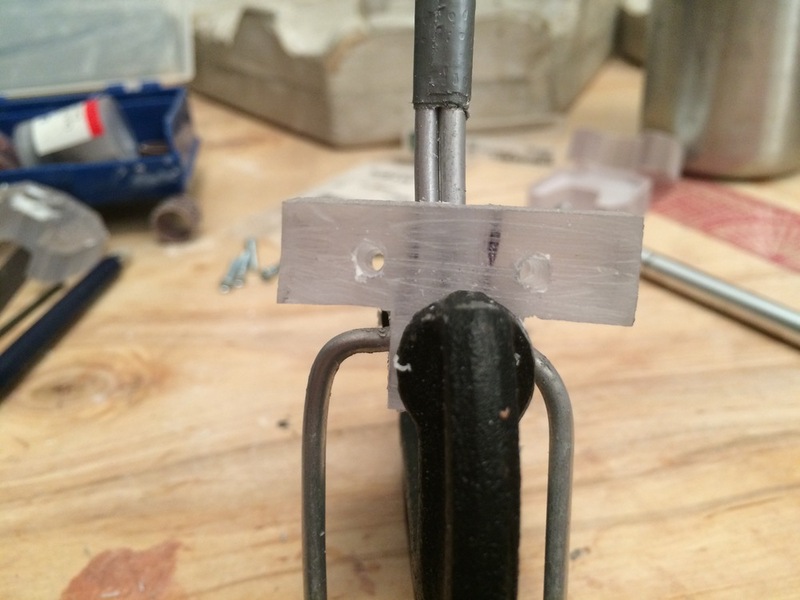 I made the choice to keep the wire without brass channel “bones” as they create weak spots for easier breakage. 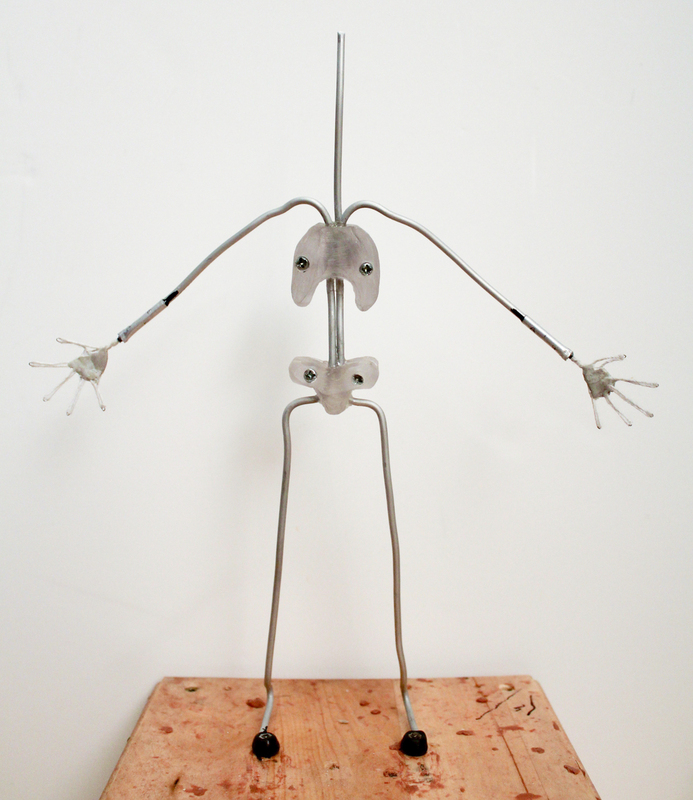 Other than that, the wire armatures utilize the same hands and tie downs as the ball and socket armature. 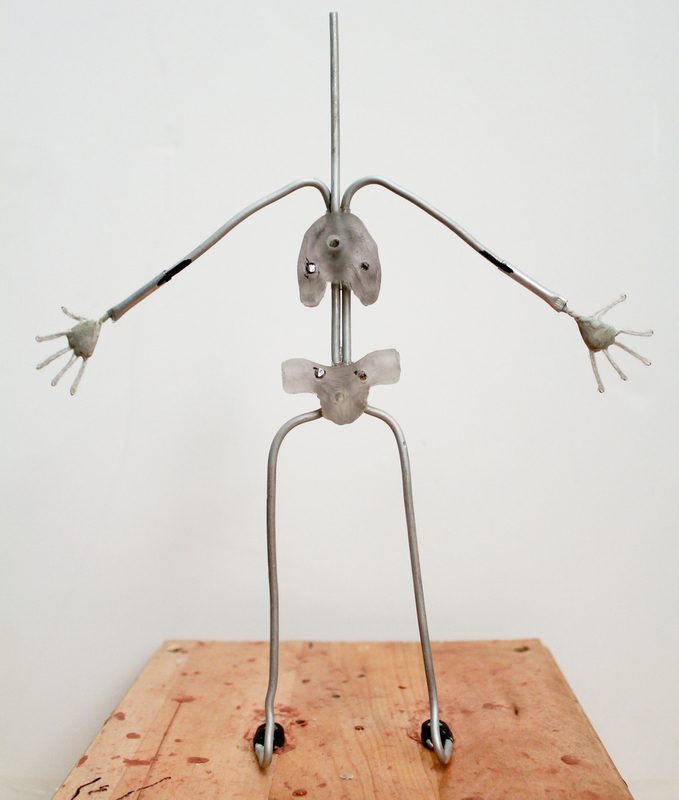 Overall, the polycarbonate offers lifelike forms for animators to use as control points. 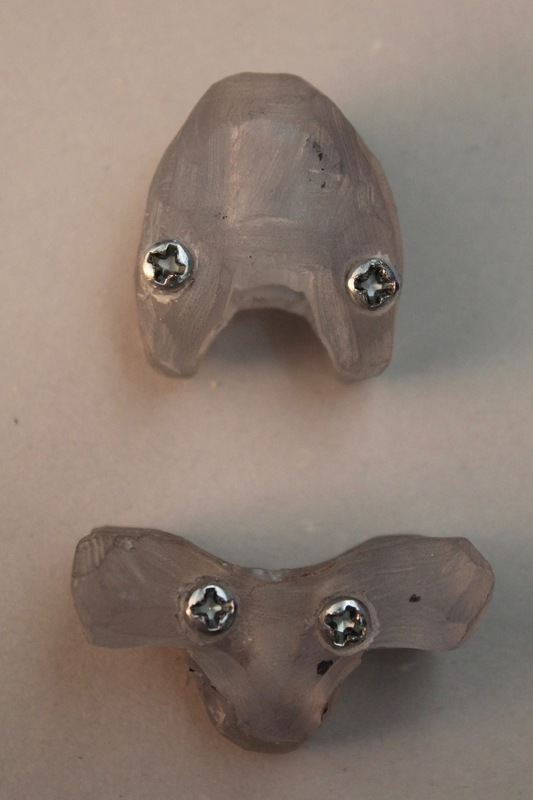 It's also advantageous to fill the mold cavities with a lightweight, easily sculpted and durable material. 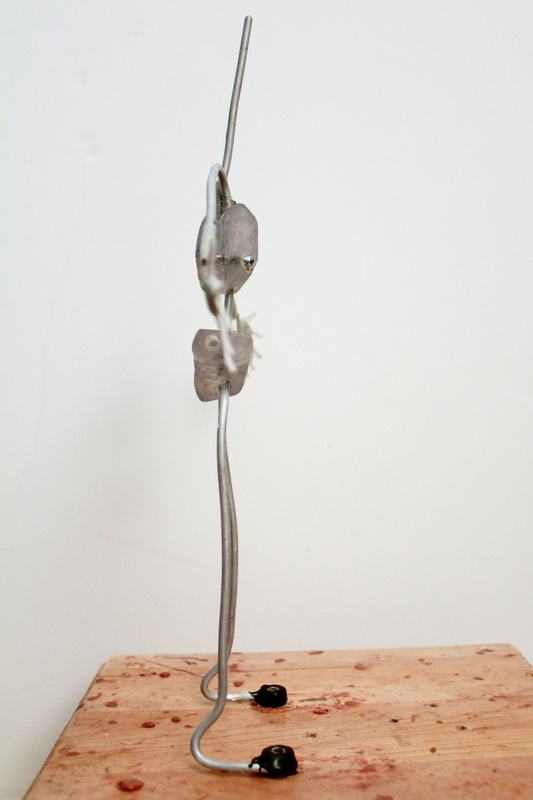 I would definitely use this process and material again when making wire armature. The bones of these characters are ready! NEXT STEPS: Casting in Silicone! Check this space for process photos and production documents for my MFA thesis film.